Exactly techman. The arrival of two of the yards recent builds, combined with the fact the Irish DF already operated with Rotterdam, is merely a suitable location for any sales pitch, with a chance to view the build quality at the same time. The ability for the builder to provide is what is being paraded not the actual ships. There was a Danish ship in Dublin Port a few weks ago, are they trying to sell to the Navy too? It looked like an under-armed frigate or an overgrown patrol vessel. It would do, Arctic weather and all that. They are not new ships. Good idea though. Small crews, sheltered fo'cstle. Makes life a tlittle easier. Can be expanded with frigate type sensor and weapon fit if required though. Looked it up on the Danish Navy website. 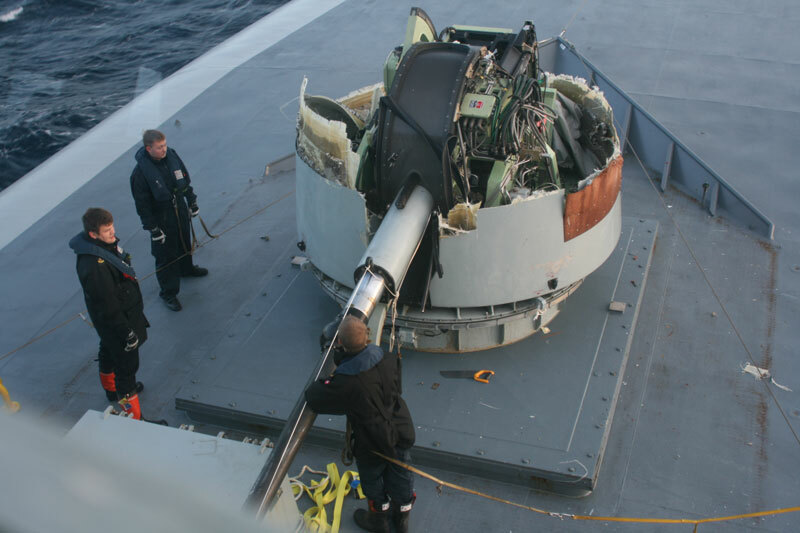 A couple of waves made a right mess of the gun turret on the way to Greenland. On a winter exercise off Norway, the German Navy one came back without three whole 76mm turrets. That happened between Isreal & Cyprus, A/Sea Martin Hennessy (Ships Diver) was on the wheel at the time. all the crew fitted life jackets, scareeeeeeee. The Norwegian Sail Training Ship "Christian Radich" secured alongside Sir, John Rogers Quay, D2. ETA 1400hrs today. the captain is an Army Officer with the rank off Captain Army Equiv. to Lieut. INS. met him nice guy. He will be on the calls of protocol tomorrow. Ship will ETD 1100hrs Monday.